Ladies Kurti is one of the favorites clothing of teenagers, adults and old age ladies. As it lends an ethnic look with style to the wearer, it is always in high demand. This is available in the market designed from varied fabrics like cotton, silk, nylon, wool and other natural as well as synthetic material. With the advent of Jute Ladies Kurti, the fashion centric ladies go crazy for this range. Ladies kurti designed from jute is introduced to add beauty to the personality of the wearer. Jute ladies kurtis are designed in different type of designs, patterns and styles to meet the needs of any formal party or informal occasion. 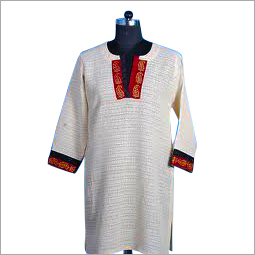 The range of the such jute ladies kurti is vast that starts from natural color to vibrant colors. Designed from the natural fibre, jute makes it the foremost choice of not only fashion lovers but also eco friendly people. A combination of high utility features with beauty and that too at affordable prices is the reason behind its high popularity all over the globe. Soft as well as shiny nature of these jute ladies kurti is sure to appeal the onlookers. 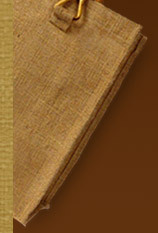 The environment friendly nature of jute makes the wearer able to keep the environment clean and green. The collection of jute ladies kurti designed from jute is known for highly breathable nature that makes the user feel highly comfortable. The value added features of this type of jute ladies kurti includes wrinkle as well as stain free nature that ensures long lasting life. It can be availed from simple designs to embellished one so that everyone gets the exact piece she is looking for. It is adorned with breath taking hand blocked, embroidered, hand printed, quilted, tie & dyed and other elements. Easy to wash and maintain, kurti made up of jute is 100% organic having excellent color fastness property.